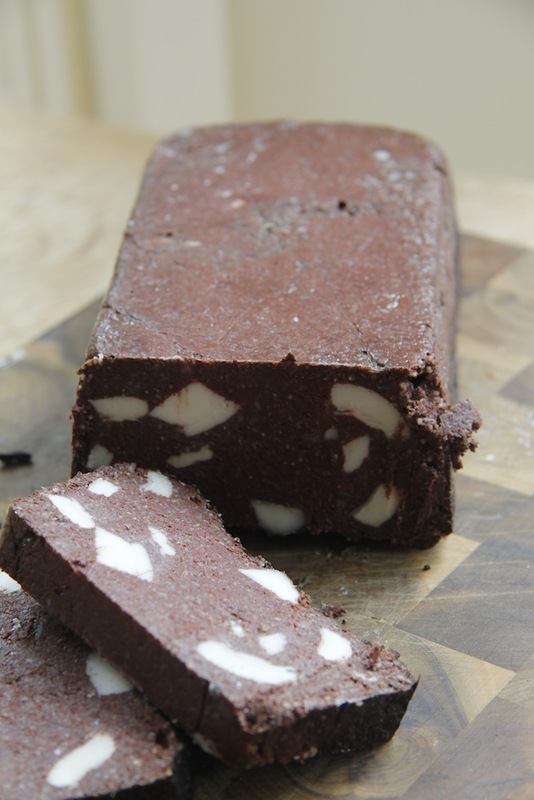 On Sunday, because the weather forecast was not looking good I decided to make some black pudding or blood cake. 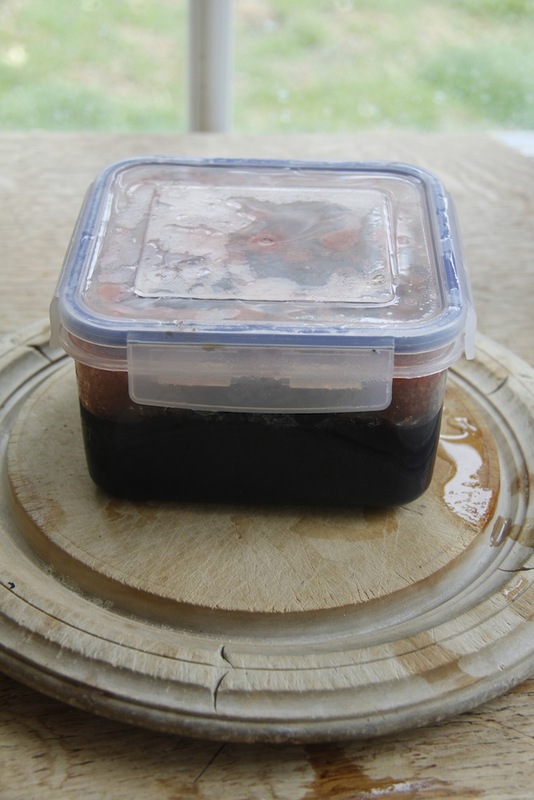 I had frozen some blood from our pigs last autumn and I wanted to see if frozen blood worked as well as fresh. This is important as if it doesn’t I will need to have a massive black pudding making session on the day of slaughter as the blood congeals very quickly. Luckily the frozen blood defrosted and worked well – no signs of it congealing. 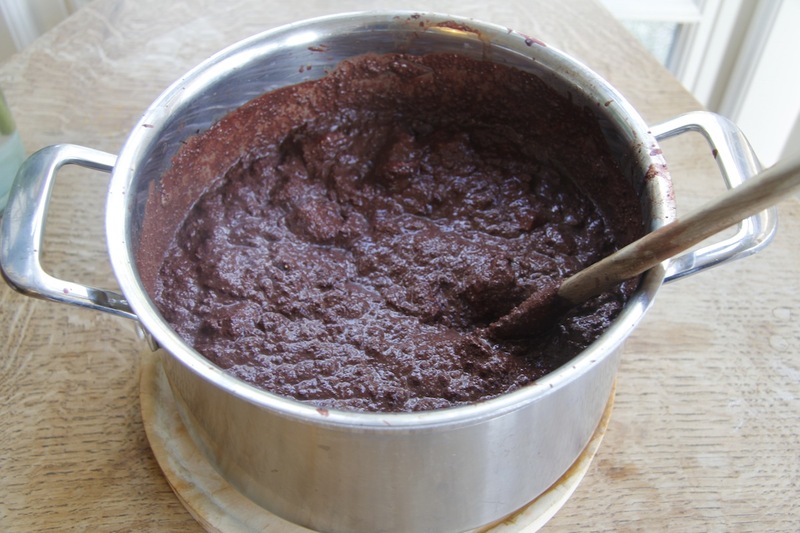 I used a recipe from Fergus Henderson Nose to Tail Eating (72-3) for Blood Cake made with polenta – I have a lot of polenta as I bought about 5kg of it from our wholefood wholesalers Rainbow a year ago. The resulting pudding is very good and has the added advantage that you can cook it in a bread tin rather than trying to stuff and then boil sausages. I intend trying a few other recipes this autumn though to see which one I like best. 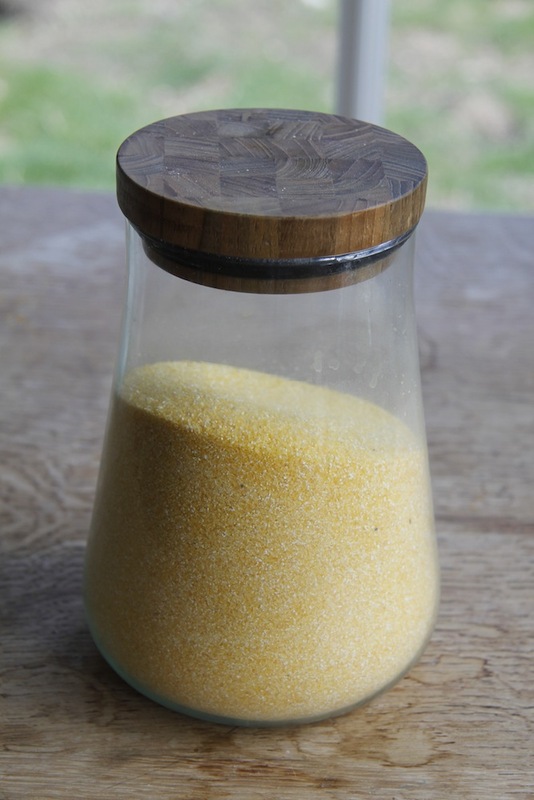 Ingredients: 1 onion, 6 cloves of garlic, vegetable oil (or duck fat or rendered pig fat), handful of fresh marjoram or oregano (I used dried herbs)1/2 tsp crushed or ground mace, 1/2 tsp of allspice, 1 litre of pig’s blood, 150g of polenta, salt and pepper, 250g of back fat cut into 1cm cubes (original recipe said to cut it smaller but I am lazy). Put the oil, lard or duck fat in a pan and gently cook the onions. Add the spices, herbs, polenta, and blood and heat gently stirring until the mix thickens to the consistency of porridge. Taste and add salt and pepper or more spices. Remove from the heat and add the diced back fat. 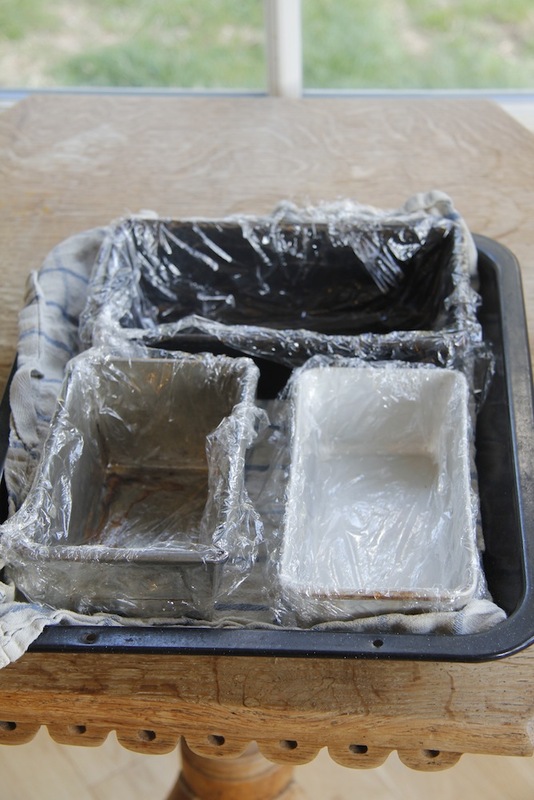 Line some bread tins with clingfilm. Fill the pans and place in a roasting tray lined with a tea-towel. Add water to come up the sides of the bread pans, but not over them. Place in a medium oven and cook for an hour or hour and a half. Test for doneness by inserting a knife, it should come out clean. 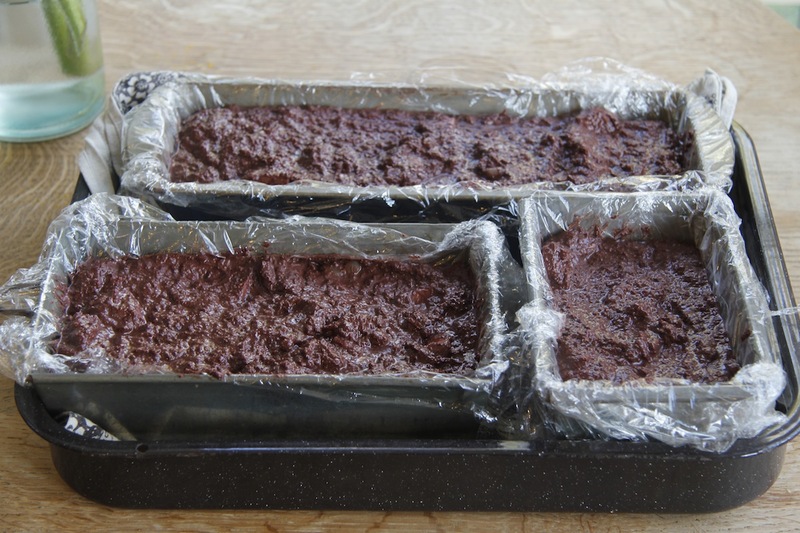 Leave to cool in tins and then cut into slices. To serve, fry the slices in fat of some sort and eat. I had some with two poached duck eggs, fried tomatoes and some thinly sliced potatoes – absolute heaven and all from the smallholding. Is there a better brunch than this? N.B. 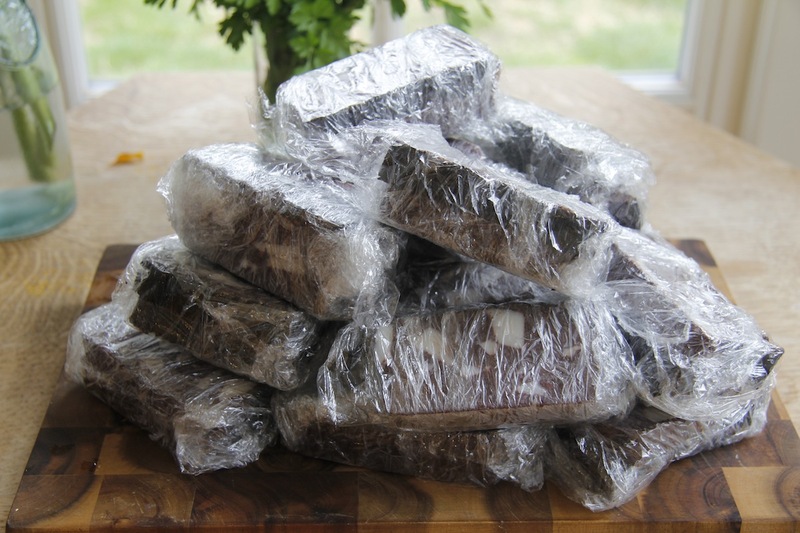 I will be exploring more recipes that use black pudding over the next couple of months as I made a lot of it. Here it is sliced and packaged, ready for the freezer. To give you some idea of the amount there are four thick slices in each package. N.B. 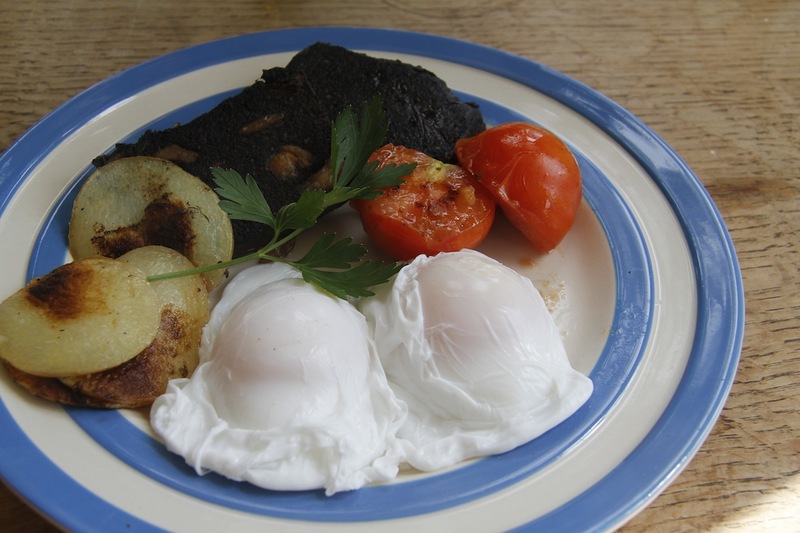 Any suggestions for other black pudding recipes to try would be welcome. Beside your mentioned spices there is bay leaf added here – as I can remember – and some cloves, maybe a bit of cinnamon, too (no garlic though). The German “Blood sausage”-wiki site talks of ginger as an ingredient, but I think there must be just a whiff of it in, because it never was noticeable for me. 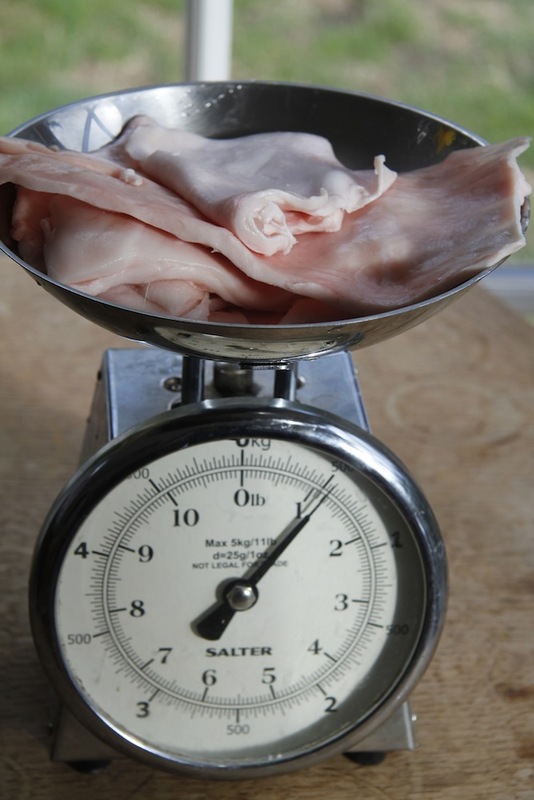 You could put some porc meat in too (besides the back, leave or flare) fat such as heart, liver, stomach, tongue or any other parts of porc… all cut in small cubes – precooked or even smoked. Hi Irmi, Yes, I am still experimenting with black pudding recipes. I really like the Ruhlman one that has cognac, cream and apples in, but it is still a little too crumbly. 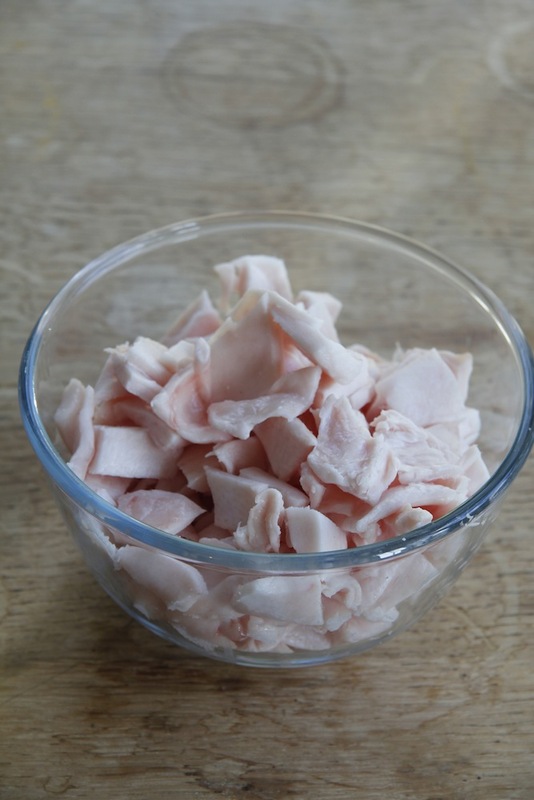 I haven’t tried adding pork meat into the recipe, but thank you for the suggestion – I will give it a go – I especially like the idea of adding smoked pork to it. I am not sure I have tried sauerkraut, but it is on my list of things to try and make – maybe this year with my cabbages. I will also check out the wiki page on blood sausage. I am too lazy to try and stuff them into sausage skins – or maybe I am worried that I am too clumsy! Blood isn’t readily available here (you can get dried blood I think) which is why I collect all my blood and use it up making black pudding for myself and my friends. If you are ever over here you can try some – along with the bacon sandwich! Have a lovely evening.